Home BLOG/WEBSITE BLOGGING HOWTOs SPECIAL GUIDES What are the effective ways to increase my blog traffic? 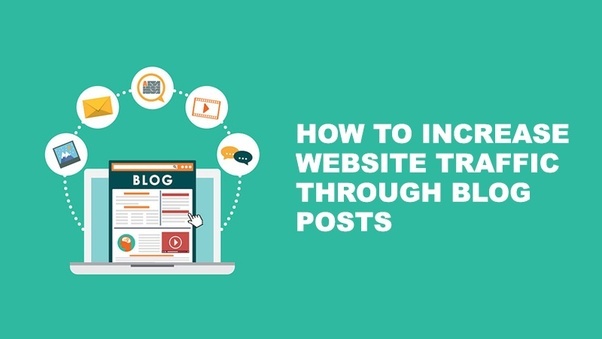 Are you also one of those who is struggling to increase your website traffic through blog posting but doesn’t know where it is going wrong. We understand how frustrating it is when you have hosted a blog to gain readership but in reality, no one wants to read your blog. To attract the reader’s attention and build more audience base, you better know what is interesting and useful for your audience. Will your blog post entice your audience to read more? We have picked up top 5 proven strategies which actually work to increase website traffic. Let’s find out, what you have missed out on your blog posting. So, what are the key points which you need to take a note on? Don’t waste your time trying different strategies, simply create a good content marketing strategy and see how your business will grow in a short span of time. It is proven that around 60% of business is successful with documented content marketing strategy, 32% of business with verbal content marketing and merely 7% of business without any strategies. It is not easy to entice the online audience to read your blog post, but you can do it if you have an eye-catchy headline. Yes, great headlines are important to grow your readers and grab maximum reader’s attention. Your headline or title will help readers whether to click on your blog post or not. Therefore, always remember to optimize your headline for social and search traffic. To create the perfect headline for your blog, you have to add the right keywords, right length, and attractive headline. Google keyword planner is the best tool to search for keywords. To increase your website traffic and website ranking, it is essential to create a blog that contains the right density of keywords. Your website’s visibility completely depends on the keywords you have been using and the accuracy of the main keyword in your content. Now get your content in front of your audience or users by republishing your old content on large publications. Yes, it is the best way to reach your targeted audience because you don’t have to spend hours and hours to create a fresh content. Moreover, you can also get the link juice from large publications with high rankings. If you haven’t done it yet, then here is the process of republishing old content. 1. Find a large publication associated with your industry – In large publications, there is a constant need for different types of content. Look for industry related large publication to republish your content and if they will allow you to republish your content than it is a good shot for you, don’t let it go from your hand. Just make sure that you have a good content and relevant content to contribute to the large publications. 3. Prepare your content – So, your republishing pitch got accepted by publishers but what’s next? Don’t rush into the process; just prepare the best content which needed to be published. Review the content and go through the site’s publishing guidelines precisely. Add minimum 3-4 backlinks to your post with a bio link to a link magnet. Change a slight change in your headline, so that Google won’t get confused while ranking the post. It is proven that visuals content entice more audience and there are plenty of statistics which shows that visual content gets more shares, likes, and traffic. For every blog, it is very significant to make it informative as well as attractive by using the right amount of images, GIF or videos. So, here are a few tips which you can implement in your next blog post. Use unique or attractive images. Optimize for each platform – In every social media platform, your post will be displayed differently. Therefore, it is important to optimize your post and make it eye-catching, so that it will be more shareable. Create posts using high-quality images with quality description and captivating link description below the image. Do as much research you can for each social media platform and learn how to optimize your every post to get maximum engagement, shares, and traffic. Plan a sharing schedule – It is also important to follow a posting schedule, don’t be unorganized. How often you are posting and at what time you are posting is very significant for every business. And, here the sharing schedule comes on the play to grow your traffic and increase more engagement. Don’t make it spammy Another important factor to keep on mind is that don’t be spammy. It happens sometimes when your post doesn’t go well but it doesn’t mean that you will keep posting the same content over and over again in the same way. Whenever you think you need to repost that piece of content, share your blog post and video by adding other influencer’s content as well. Add sharing buttons – You have created a great content and posted on all social media platforms, but what will be the use if there are no sharing buttons to your post. When a reader likes a post and finds it helpful for others as well then they tend to share the post with everyone. Therefore, it is necessary to add sharing buttons to your content; moreover, it is beneficial for your business as well. The more your post will be shared; your brand or company name will be endorsed. So, these are the top proven strategies that actually work to increase website traffic. Hope you liked our post and will be helpful to grow your website traffic. Start following these tactics and we guarantee that your website will go to the next level.